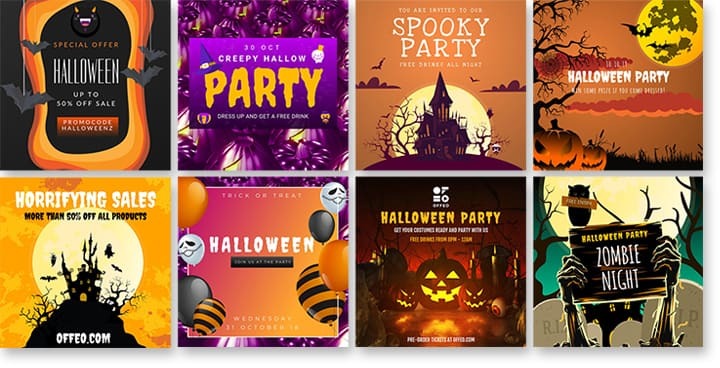 Are you having a special promotion for Halloween? 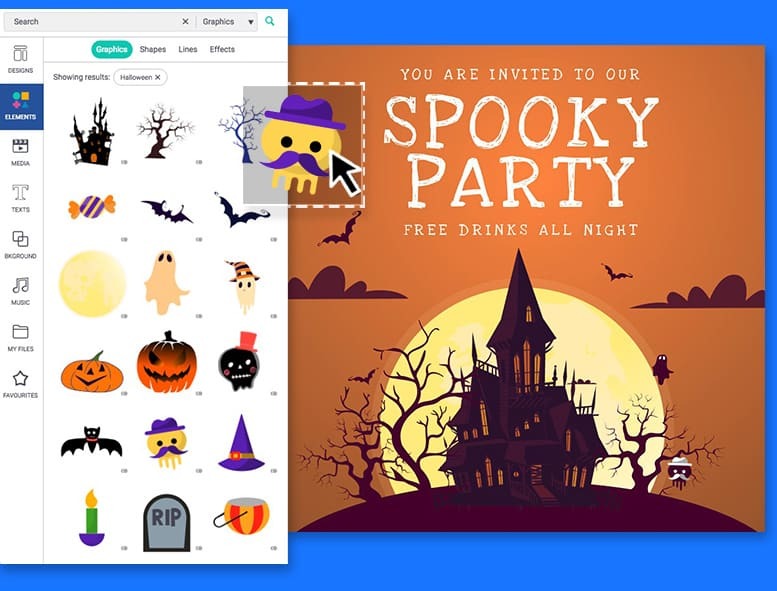 Check out OFFEO's latest animated Spooky Halloween templates you can use right now for your social posts and video ads. Create your videos in different dimensions for all social media platforms like Facebook, Instagram, Twitter, and Linkedin. Only available in OFFEO. 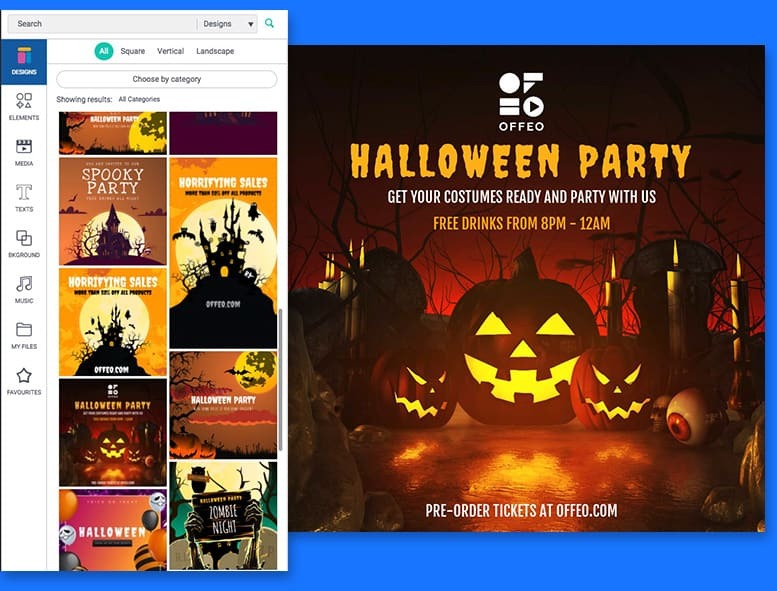 Use OFFEO's easy to use drag-and-drop functions to design videos that are compelling and effective for your marketing objectives. Choose, customize and create in the cloud easily. Want to get creative? Design with an unlimited library of animated graphics elements. Impress your audience today. 1. Can I use the video I made on OFFEO video maker in any social media platform? Definitely! When you create the video in OFFEO, the rights belong to you. Simply save your video after our cloud-rendering software has finished processing it, and upload it to the ad manager of your selected social media platform. 2. Can I change the size of my video? 3. What file formats can I download my video in? Not at all! As soon as you are finished editing your ad, press “Export” and choose the file format you’d like it to be downloaded in. You’ll receive your video within 10 minutes and can start sharing it! 5. Is OFFEO free to use?